I've really been bitten by the Polaroid bug. After putting some color film through the camera and bleaching negatives, it occurred to me that it would be fun to try contact printing from those negatives in the darkroom. The results have been gorgeous so far! Waiting for others to dry, but I should be able to post them soon. Has anyone else ever tried this? cool ! what film exactly ? 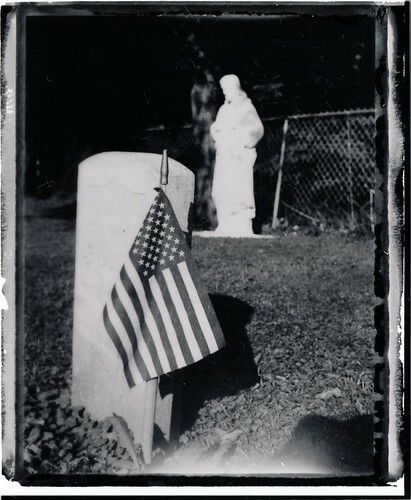 I've experienced enlargement from Fuji 100 b&w bleached negative, but never tried by contact, nor with a color film. Is it like color negative films, i.e. needing a high contrast filter to get a smart b&w contrast ? These are from Fuji FP100-C. These prints were done with a 3 filter, so nothing terribly dramatic. The nice thing is that the negative don't have that orangeish/brownish color that lots of color films have that wreak havoc with your contrast. 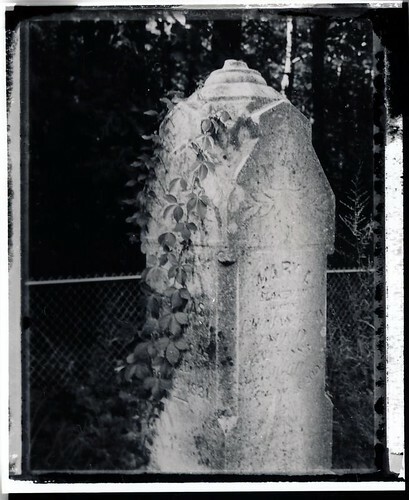 It has much more of a pinkish purple color that's closer to Kodak TMAX that hasn't quite been fixed properly. am going to give that a try too..